We finally got our mittens on the ROG Strix Fusion 700, the company’s latest gaming headset. 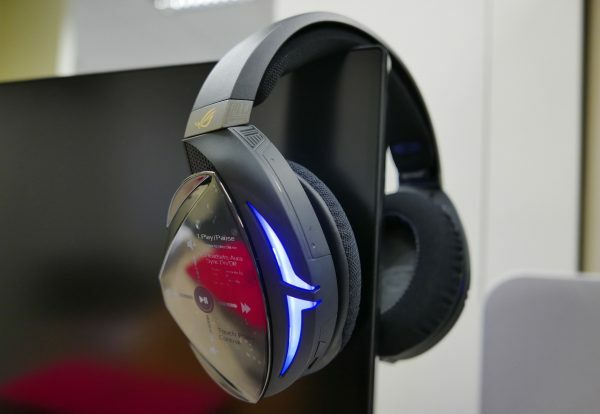 It also functions both wired and wirelessly, giving it a competitive advantage against some other headsets. Let’s take a close look. 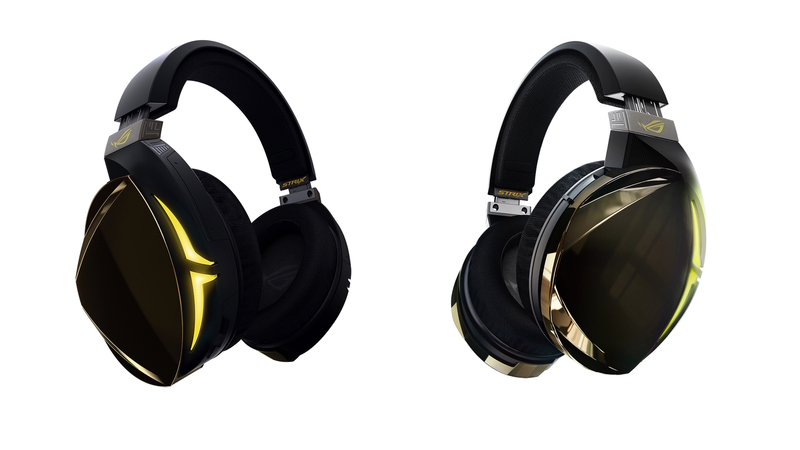 When we think of gaming headsets, we immediately imagine an ostentatious headset with RGB lights blaring. That is not so much the case for the Strix Fusion 700 and its understated design. 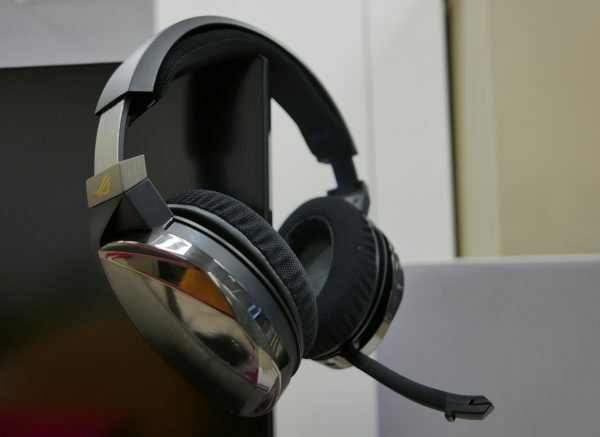 The profile of the headset is sleek and without unnecessary edges or sharp corners. The mic is also cleverly disguised in the left ear-cup, such that unless you are looking closely, you might not even realize that there was even one. The side panels are nice and clean with a glossy finish, and are beveled around the edges to make the overall shape reminiscent of the ROG logo. The left side panel features the touch control with instructions printed directly on the label. 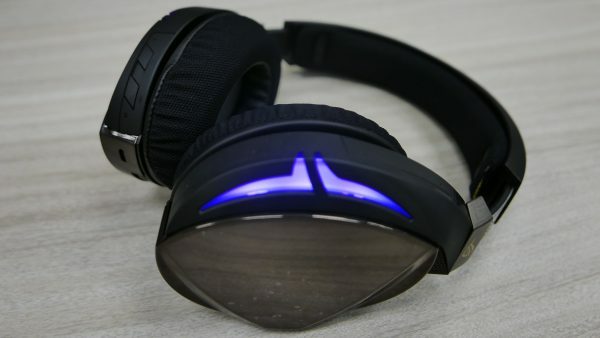 The gaming headset still features RGB lights at the back of the earcups, but these can be toggled on and off. My only gripe about the RGB lights is that there is no physical button on the headset itself to control these lightings. Right out of the box, you are stuck with the RGB lights unless you download ASUS’ Aura app and disable it from the app itself. 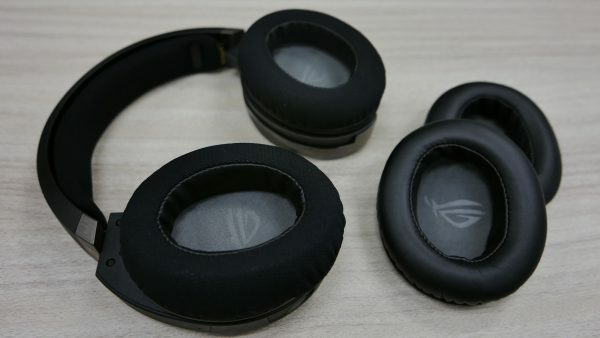 Giving the ROG Strix Fusion 700 headset a try, it is immediately apparent that it is built for comfort. The headset fits nice and snug without the feeling of your head being squeezed by a vice. The headband is also cushioned, and it never felt like the headset was weighing down my head at any point. The ear cushions were also large and roomy, giving the ears much-needed breathing space. The default ear cushions on the Fusion 700 are leather and they are excellent at sealing out most background noises. They do, however, get stuffy and sweaty during prolonged use. The other ear cushions provided in the box are a pair of mesh ear cushions, and are amazingly breathable. Although this come at a cost – background noises are more obvious with them on. It’s really a choice of personal preference, but I’m glad ROG gave options here. The audio on the headset is also excellent; the sounds are crisp and clear. We tested this in Deus Ex: Mankind Divided. The retorts and barks of automatic weapons and shotguns were distinct. Even the footfall of the Exo-Suits felt weighty. This is further enhanced by the DTS Surround Sound 7.1 (which can be toggled on or off by a button at the back of the left earcup). It is not an exaggeration to say that you would be able to point out where enemies are with this gaming headset. It does give very clear directional information. When it comes to music, it holds up just as well. There is a certain clarity and richness when listening to ballads. More weighty music like rock music fares just as well with the bass hitting the right spot without overwhelming the rest of the instruments. The Fusion 700, as mentioned earlier, is both wired and wireless. This means it can connect to your mobile devices via Bluetooth too, while staying plugged in to your gaming device – which could be a PC, Xbox One or a PlayStation 4. If you wanted, you could easily have Spotify playing on your mobile device while running around in Fortnite. The touch controls are also intuitive but do take some getting used to. Simply swiping up or down on the touch panel allows us to adjust the volume on the fly. The play/pause option is a lot more finicky as you have to tap the middle of the panel which is not as easy as it sounds. When connected to your mobile device, any calls will silence your game and let you answer the call by tapping on the touch panel. The mic on the ROG Strix Fusion 700 is decent too. Grabbing the tab and pulling it down activates the mic and pushing it back into its slot deactivates it. Using it over Discord to chat with a friend, the mic had no problem picking up my voice, and the quality was clear. I did experience a couple of lag incidents but that was more to do with Discord than anything else. The ROG Strix Fusion 700 is an excellent gaming headset and most of its flaws are minor at best. The reliance of the ASUS Aura app to control the more ostentatious aspect of the Fusion 700 being one of the latter. 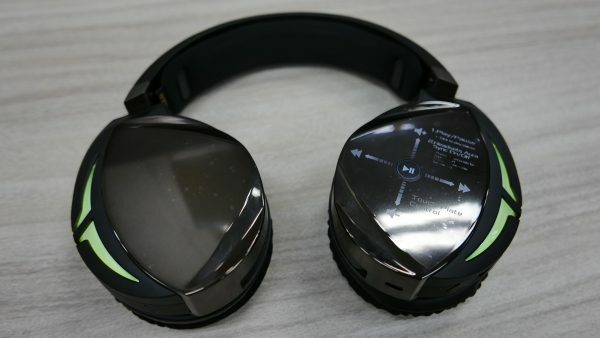 At S$359, it is also an expensive headset, but it does make up for it with its quality design and audio. If you are looking for a gaming headset that can be used on PC, today’s consoles and mobile devices all at once, the ROG Strix Fusion 700 should be included in your shortlist.